Orange and blue paint the sky as sunlight turns the Pedernales River valley into shades of warmth on a beautiful summer morning. 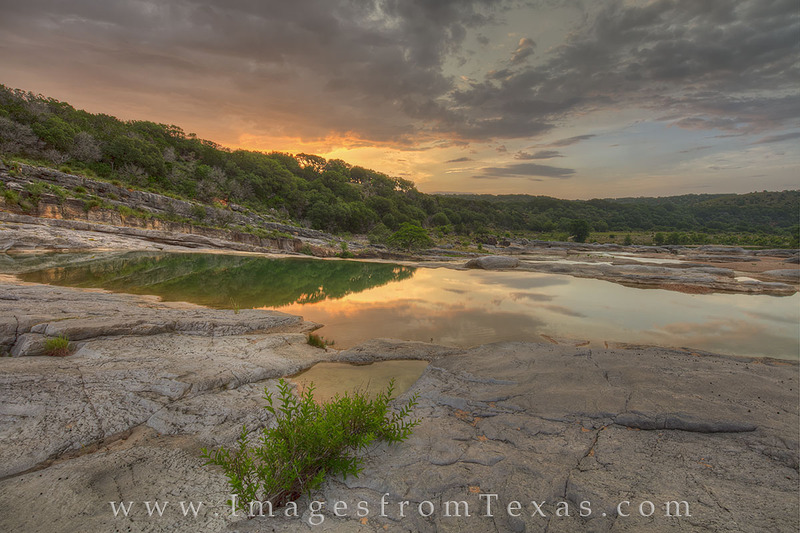 Walks along the trail at Pedernales Falls State Park in the Hill Country of Texas never seem to disappoint, and this sunrise was no exception. Photo © copyright by Rob Greebon.